Are You Using Clear Calls to Action to Convert Your Potential Clients? What is the ultimate goal of your attorney website? It's not to generate traffic, although that is a nice start. It's not to generate leads, although that is a great step in the right direction. Ultimately, it's to bring your firm more cases. There is, however, a process that you must follow to make that happen. First, generate traffic with great content, video, and social media. Next, you'll need to convert the visitors to your website into real leads. This is where a call to action (CTA) comes in. What is a CTA, and why does it matter for your website? If you want someone to do something, the best first step is usually just to ask. That’s essentially what a CTA does. A CTA can take the form of text, a button, a contact form, or something else, but it is ultimately an invitation for the visitor to take the next step. For example, a CTA might ask a visitor to call your office, download your book, subscribe to your newsletter, or chat with a live representative. CTAs increase conversion on your website and can also provide a better user experience for your potential clients because they let visitors know how to get help and engage with you in a relevant way. Your CTAs are confusing. Should I fill out this form or another one? Why am I filling out a form? Is this the information they’re looking for? Did I do this right? What will happen when I give them my information? These are the kinds of questions you don’t want your potential clients asking when they decide to reach out to you. Your CTAs should be clear, and the potential client should know what you’re asking for and why. You use multiple CTAs in the same content. Your content needs to be focused, and so do your CTAs. If you pepper every piece of content with every CTA you have, you’re likely to just confuse people. Instead, your page content should naturally flow into a unique CTA that points readers to the most relevant action for the content. Since your website should already feature your phone number and other contact information in visible locations, your visitors already have readily available options to contact you another way or take a different action on your site. You don’t convince before you pitch. No one likes a cold pitch. Before your CTA enters the scene, your potential client should already understand who you are, what you offer, and why your offer might be helpful to him. Your content should be engaging, interesting, and clear about why visitors might want to reach out to you. You aren’t testing your CTAs. Every law firm is unique, and you can’t always predict exactly what your perfect clients will react to best. Almost everything about your marketing will work better after testing, review, and tweaking. When you test and track lots of different ideas for CTAs, you’ll be rewarded with hard data that is highly specific to your law firm and marketing campaigns. Did you notice something missing? 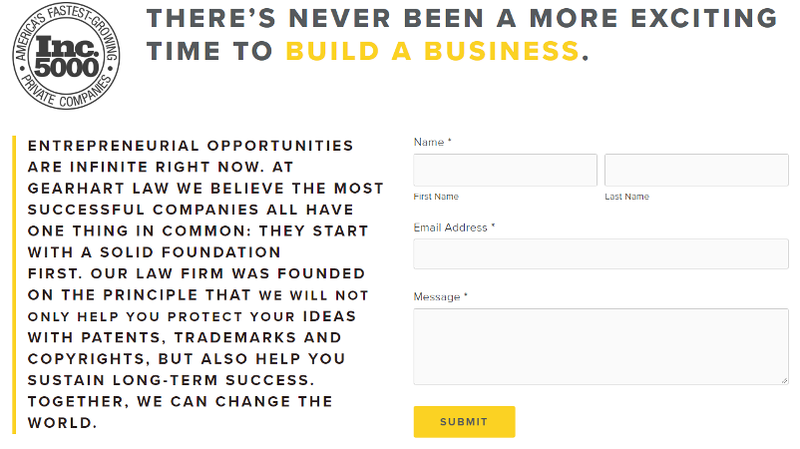 If not, go back to the image above and try to figure out how you can contact the business or what you’re supposed to do from this page. Without a clear call to action—or even contact information—to go on, potential clients are unlikely to take the next step and convert. Although there is a contact form, the simple headline doesn’t entice visitors to reach out or tell them what happens when they fill out the form. Why would anyone want to enter their personal information into a “mystery” form online, especially when they might be looking for answers to sensitive questions? The page doesn’t offer any explanation for the visitor. Without accompanying text or information, the form itself isn’t very enticing, and the similarly colored social media button seems a little confusing and out of place. Although there is an obvious and attractive contact form, and the accompanying text helps build excitement about the firm, it is missing the last piece of the puzzle. It potentially leaves interested visitors hanging because it doesn’t make it clear why they should fill out the form or what might happen if they do. 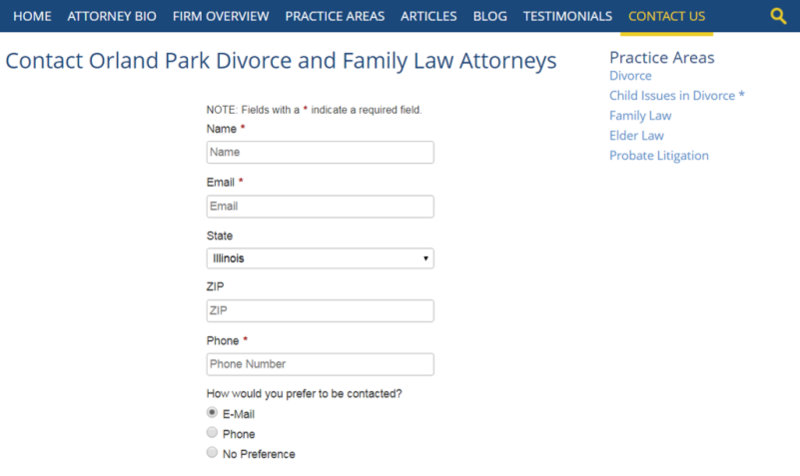 In this example, visitors know exactly what to expect when they fill out the contact form, and they’re reassured that their information is confidential. 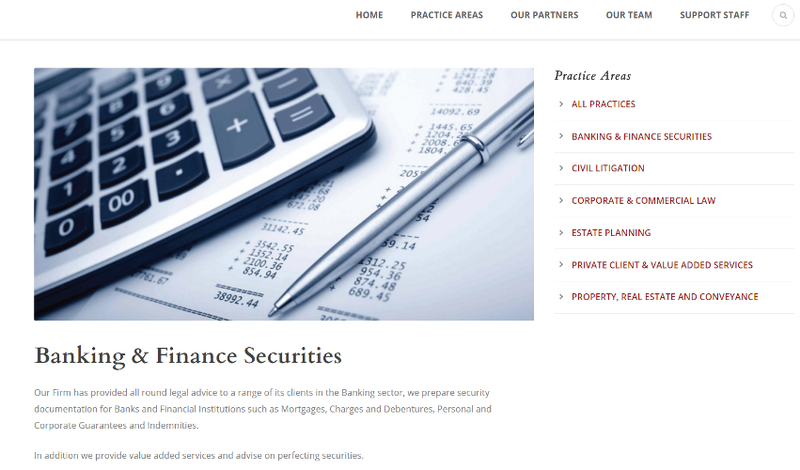 It also gives them a better idea of who the law firm helps, along with the reassurance of the displayed ratings and badges. 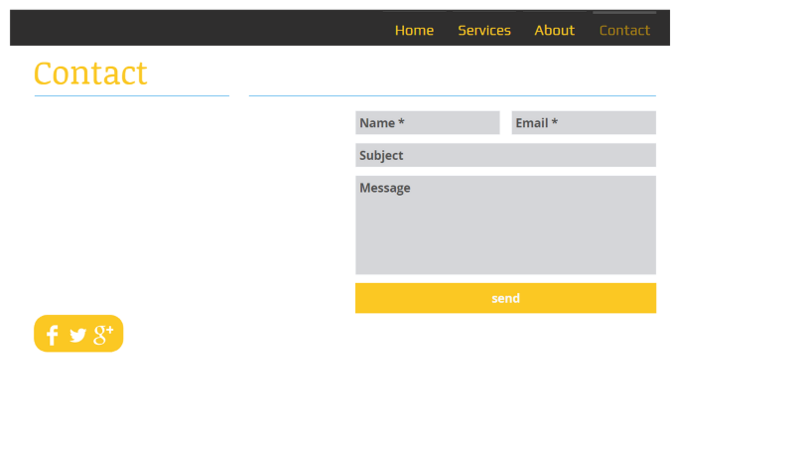 The contact form even makes effective use of custom text! A phone number is displayed at the top of the page for those who might prefer to call, but it doesn’t detract from or confuse the overall message on the page. The headline creates a sense of urgency and lets visitors know when the book might be helpful to them. It reassures visitors that the offer is free and without obligation, and it lets them know what to expect in response. The page also has a button for phone calls at the top for those who would prefer to call. Do you need help crafting better calls to action for your online content? Are you looking for better strategies to convert your perfect clients? Sign up for a free marketing analysis with our team of experts, and let’s talk about how we can work together to reach your digital marketing goals.